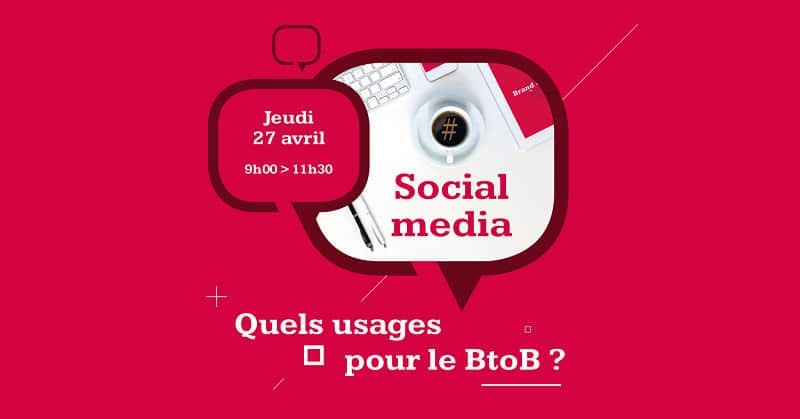 On Thursday, April 27, Aressy is hosting a B4Work event on the value of social media for B2B companies. Organized in partnership with Sociabble, the leading employee advocacy, and social selling platform, the event will include client testimonials from Hyundai Motor France and Business France. This event will take place in French, from 9am to 11.30am at OpenMind Kfé, 21 rue de Cléry, 75002, Paris. Social media has become an essential communication channel for B2B companies. How do you measure the ROI? From straight-forward visibility to more concrete engagement, how do you optimize a social media strategy for both branding and business? What content do you share? Which networks do you share it on? How can success be identified on LinkedIn, Facebook and Twitter? In which ways can companies harness the power of influencer marketing? What is the best way for commercial teams to engage in social selling? This event will answer these questions and others. Sociabble is the leading provider of social selling software. Our unique platform organizes brand, third-party, and user-generated content onto themed channels. From these channels, users can share on social media and track subsequent traffic and lead generation. Available natively for Android, iOS, and Windows Phone, Sociabble features include gamification, newsletters, calls-to-action, advanced analytics, lead tracking, and individual performance dashboards. The platform also integrates with a number of CRM, curation, listening and retargeting tools, including Office 365, Salesforce, and RadiumOne. Used in over 60 countries, Sociabble’s client base includes companies from multiple sectors including; energy, tech and communications, finance, government, education, and media. Contact us to find out more about the Sociabble and our social selling platform, or to arrange a demo. Interested in learning more about social selling? Download our white-paper now.